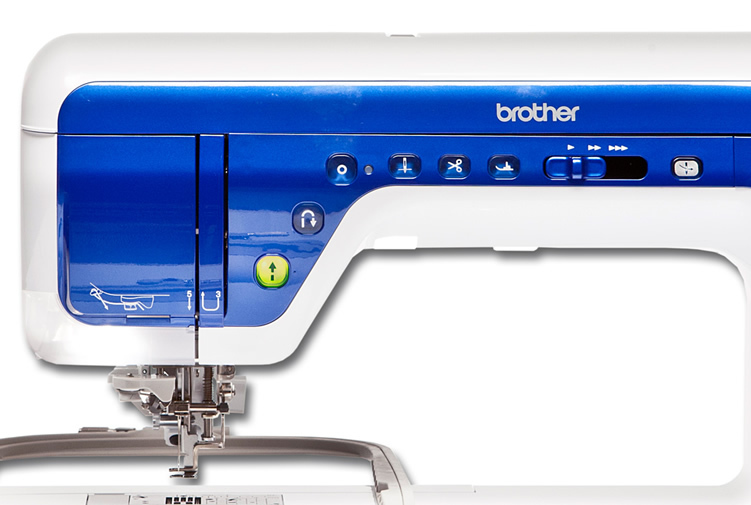 The Brother Innovis V7 Quilting and Embroidery machine includes revolutionary new features for effortlessly perfect results. 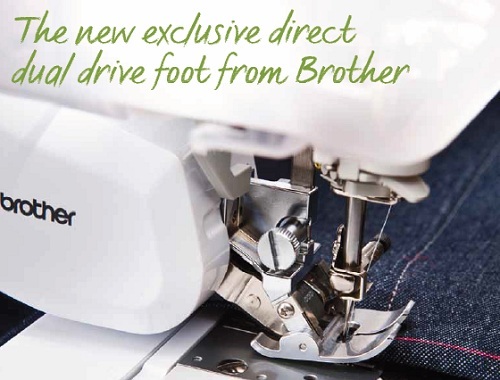 Working with thin and layered fabrics has now been made much easier Introducing an industry first – the Brother Innov-is V7 direct dual drive. 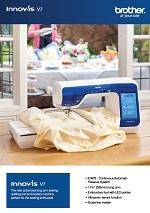 This advanced foot allows you to feed an incredible array of fabrics (such as denim or silk) with incredible ease. The exclusive motor-driven dual drive foot can be directly adjusted to accommodate different fabrics from the touch screen. Simply set the required feed, using the plus and minus keys, and save the settings to memory for ease and future use. 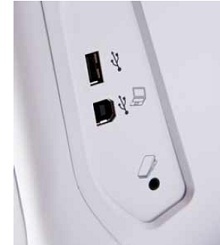 When dual feed isn’t required, the foot can be switched off or easily removed. 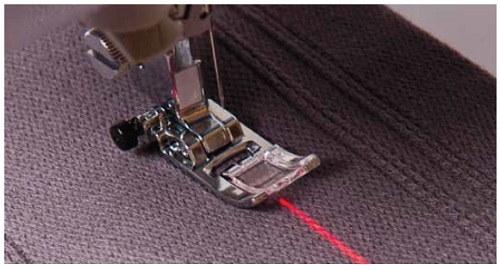 The Innov-is V7 includes an innovative laser guide that projects a perfect straight line onto your fabric. 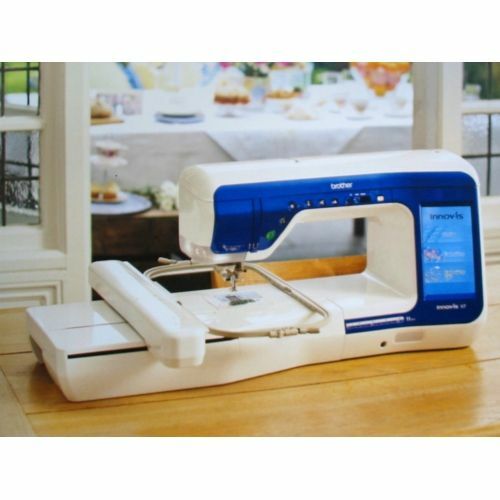 Simply guide your fabric along the line for straight sewing, and also for hems, piecing, pin tucking or cording. 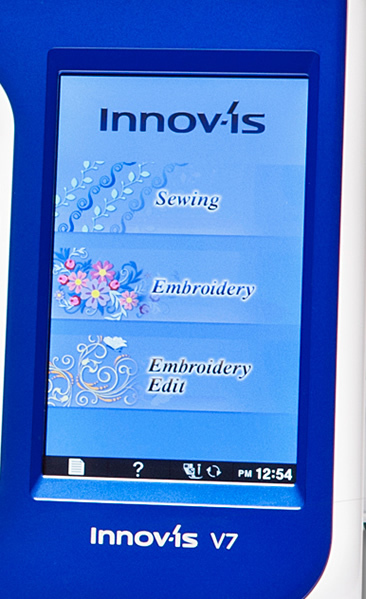 Automatic pattern placement: The ultrasonic pen works with sensors in the Innov-is V7 to make embroidery placement and adjustment easy. 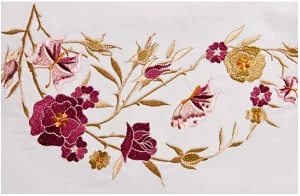 Simply use the pen to touch the required position and angle of the embroidery design on the fabric. 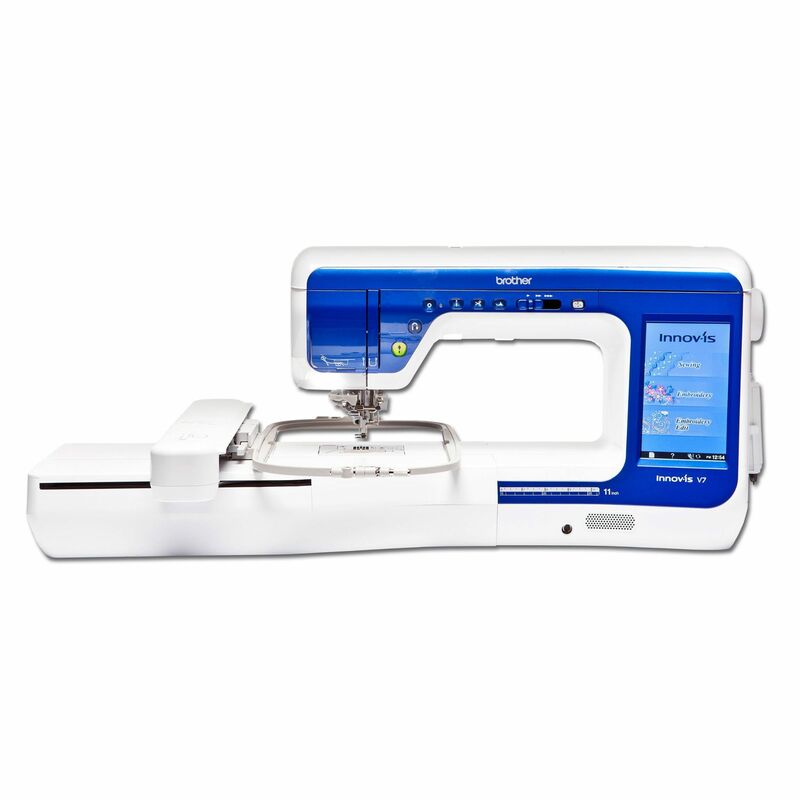 Needle position: Set straight stitch needle position by simply pointing to where you want to sew on the fabric and the Innov-is V7 will start sewing on the line. 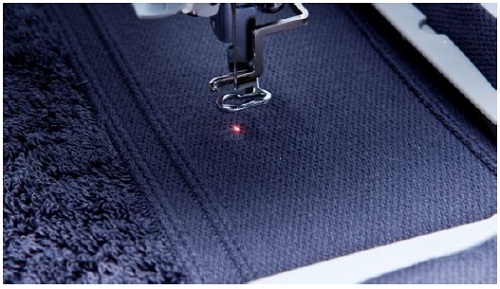 Easy finishing: Just like setting the start point, now you can set the end point for your stitches. Simply touch the position where you want to stop sewing and the machine will stop and tie off the stitch at that point. 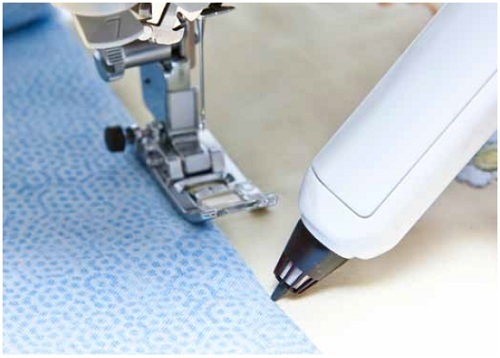 In addition, the Innov-is V7 will also automatically adjust the stitch to fit into the space – so relax, knowing that the V7 will intuitively stop at the end point without leaving a decorative stitch incomplete. 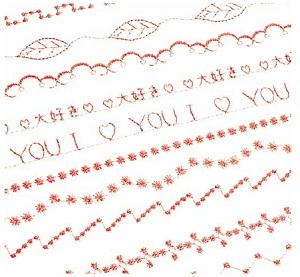 Adjust zigzag or decorative stitches: Use the pen to adjust the stitch width and position effortlessly by just touching and tapping where you would like the stitch to start. 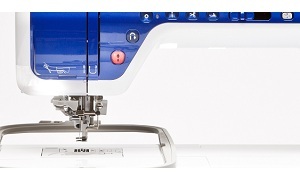 Also mark how wide you want the stitch, sit back and let the Innov-is V7 to do the rest. 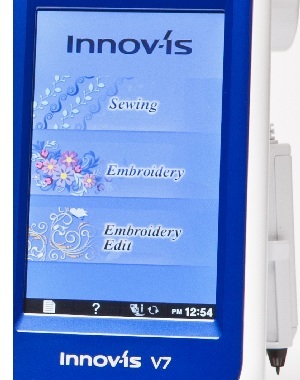 The included new LED pointer embroidery foot enables perfect needle placement for embroidery. The LED pointer shows clearly where the needle will drop, making adjustments as easy as touching a few buttons on the LCD screen. 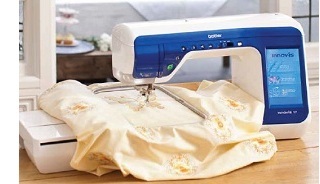 The ultra bright LED lighting gives a crisp bright natural light, so you can see colours and stitch details, no matter what your lighting conditions. The lighting brightness is fully adjustable so you can set it at a level to suit you and your environment. Eco-mode automatically switches to an energy-saving sleep mode after a period of non-use.